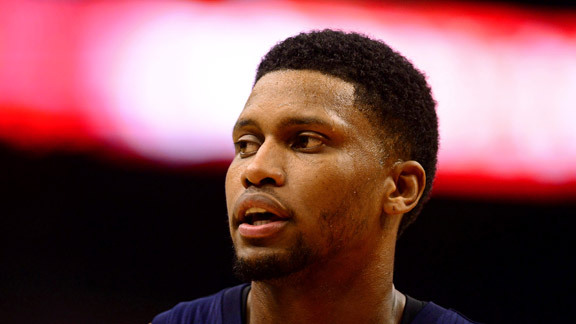 Mark J. Rebilas/USA TODAY Sports Less than three years after re-signing, Rudy Gay may be moved by Memphis this trade season. RENO, Nev. -- The NBA's annual D-League Showcase every January is a handy trigger for those of you craving fresh trade chatter in your New Year's diet. Rudy Gay chatter (see Box 8) was by far the most prevalent trade-related subject at the Showcase now that Gay has supplanted Pau Gasol as the league's high-dollar player most likely to be dealt during the season. Yet it's still very early in that game for the Grizzlies. The Grizz are still in fact-finding, asset-gauging mode and, according to one source who has discussed Gay trade parameters with them, are leaning toward waiting until after the season before breaking up their core to reduce future luxury-tax obligations, as Memphis coach Lionel Hollins would undoubtedly prefer judging by a series of interviews he gave Friday. When it comes to Sacramento's DeMarcus Cousins, meanwhile, multiple teams on hand for the Showcase expressed the view this week that the Kings' serious sale talks with a Seattle group headed by Chris Hansen have quietly been a factor leading Cousins to be deemed untouchable to any team that has called about him recently. Given that Cousins, for all the headaches, easily outperforms his rookie-scale salary of $3.9 million, it's believed that the Kings are prepared to let their new owners decide whether to keep the mercurial big man or move him. And if the sale to Hansen's group in Seattle, or the new bidder (24-Hour Fitness founder Mark Mastrov) revealed Friday by CBSSports.com's Ken Berger, never materializes? Cousins' ongoing presence certainly won't bother the Maloofs, who have convinced countless teams on the map that they love him too much to trade him. Even before Jim Buss' appearance Thursday on ESPN Radio in Los Angeles, there was a growing sense among those congregated in Reno that the Lakers don't have another blockbuster move in them this season. They're going to need a 30-17 finish just to get to the 45 wins that are typically sufficient to snag the eighth playoff spot in the West. But the sense out there is that trading Pau Gasol -- even if the Lakers could actually find a deal they like when Gasol's numbers, mobility and trade value are at all-time lows at age 32 -- would just as likely lead to more upheaval and adjustment for a team that fired Mike Brown after a mere five games, stunningly chose Mike D'Antoni over Phil Jackson as Brown's replacement and then had to wait 20-plus more games before reintroducing Steve Nash into the lineup. Maybe the best line I heard in Reno all week came from NBA.com's seen-it-all Fran Blinebury, who makes the claim that the four-star Lakers missing the playoffs would be a bigger shock than the Lakers stringing together 33 wins in a row during the 1971-72 season. Yet it sure sounds as though L.A. is prepared to concede that there are no more in-season quick fixes to pursue. The best course for this group to rally into the playoffs, at the minimum, is to get healthy, dig in defensively and figure out a way to get more out of Gasol and Dwight Howard. And then wait until season's end before making its next big move. "What else are they going to do?" one rival GM said. "Trade Pau now? I don't see it." The Milwaukee Bucks are frequently nominated by insiders surveyed as one of the teams most likely to make a move between now and the deadline. That's even though Milwaukee has essentially just reopened a new phase of evaluating its own players after parting ways Monday with Scott Skiles and installing Jim Boylan as interim coach. Utah is another team that everyone expects to be active before the deadline, with Al Jefferson and Paul Millsap both headed to unrestricted free agency in July, but getting a read on which one is more likely to be moved remains as tricky as ever with the close-to-the-vest Jazz. Maybe even trickier than normal with a new GM, Dennis Lindsey, in his first season taking on day-to-day control from longtime Jazz exec Kevin O'Connor. In recent days, I've heard Millsap billed as "more of a Jazz guy" given his lower salary range compared to Jefferson's, but this much is clear while you debate that claim: Utah's need for a point guard has only grown thanks to the recent thumb injury sustained by Mo Williams. Heard a Reno rumble or two that the Hornets will make shooting guard Eric Gordon available between now and the Feb. 21 deadline, but that was emphatically denied by one well-placed source. Also heard that it's actually the Hornets who've been getting calls from interested teams, but the latest signals emanating from New Orleans suggest that the future Pelicans have no intention of moving him. The reality is that Gordon is likely to be subjected to trade speculation for the foreseeable future after his very public lobbying last summer to convince New Orleans not to match the max offer sheet he got from Phoenix. Bear in mind, though, that the Hornets are 10-4 in the mere 14 games that Gordon has played as a Hornet, rusty as he's looked in a lot of them. Which makes keeping the roster as is worth exploring, no? The Hornets, remember, are on course to have significant free-agent money to spend this summer and add to the current core. They also just became the first team to sweep all three Texas franchises in a three-game span since the Lakers pulled that off in March 2009. Given the positivity around the place these days -- just listen to Ryan Anderson in Box 3 -- it appears highly unlikely that you'll see the Hornets in shake-up mode over the next month-plus. Don't forget, furthermore, that Gordon (as covered in Box 6) has veto power over any trade until mid-July and can't be traded to Phoenix specifically until a year passes from the date New Orleans matched the Suns' offer sheet. A list of players whose names were mentioned this week as availables, with more surely to come, alongside the long-available Andrea Bargnani in Toronto: Cleveland's Omri Casspi, Houston's Cole Aldrich, Milwaukee's Samuel Dalembert, Drew Gooden and Beno Udrih and San Antonio's DeJuan Blair. PG: Maine's Shelvin Mack, just back in the D-League after a brief stint with the Wizards, had the steadier look of an NBA point guard to trump the gaudier numbers of Courtney Fortson from the Los Angeles D-Fenders. SG: So as not to exclude the various players on assignment from NBA teams during the Showcase, Tulsa's Jeremy Lamb of the OKC Thunder shot his way into this spot with a 33-point outing Thursday against Fort Wayne. SF: Bakersfield's Damion James failed to make much of an impact in the NBA after being selected by Atlanta with a 2010 first-round pick, but James averaged 21.5 points and eight boards in his two outings this week. PF: Maine's DeJuan Summers remains a tweener who might or might not be able to play power forward in the NBA, but the Georgetown product was MVP for the week after parlaying his improved aggressiveness into 60 points and 13 boards in two games. C: Reno 7-footer Jerome Jordan, drafted No. 44 overall by the Knicks in 2010, was unanimously seen as the best big man at the Showcase in an up year in terms of bigs in the D-League. Sixth Man: Reno's Marcus Landry and his ever-improving stroke from deep were impossible for this sucker-for-shooters to ignore. Couldn't resist in spite of Landry's defensive deficiencies ... nor could I resist as much as I wanted to put Reno teammate Walker Russell Jr. here, regardless of the undersized former Piston's limitations at age 30, just because I'm an even bigger sucker for the dying art of pure point guard play. Aron Baynes played more than 15 minutes only once in Australia's six games at the London Olympics. He logged all of eight minutes of court time in the Boomers' quarterfinal loss to Team USA. Baynes, though, was seen extensively behind closed doors all summer by Spurs assistant coach Brett Brown, who happened to be Australia's national team coach at London 2012. Which should temper anyone's surprise when it emerged this week that San Antonio is closing in on a buyout of Baynes' contract with Slovenian powerhouse Olimpija Ljubljana to sign the 7-footer to a multiyear deal. Such is the credibility built up by Spurs president R.C. Buford, by contrast, that it was immediately assumed in league and media circles that San Antonio has done it again and unearthed yet another overseas gem. As former Spur Andrew Gaze, referring to his old team, colorfully explained to the Sydney Morning News: "They don't recruit dills." Dills being Australian for idiots. Realistically, though, Baynes won't be seriously counted on by San Antonio before next season even if the 26-year-old center -- one of the top rebounders in the Euroleague this season -- arrives from Slovenia relatively soon. According to DraftExpress.com, Baynes will be signed for the next three seasons after this one, with 2014-15 and 2015-16 not fully guaranteed. 294: Under the current 16-team playoff format, 294 teams have started 15-20 or worse (as the Lakers have) through 35 games. And a mere 40 of those 294 teams, according to the Elias Sports Bureau, have gone on to make the playoffs. Only four teams in the West, furthermore, have pulled that off in the past 15 seasons ... including the 2002-03 Lakers. Those Lakers also rank as one of just three teams, of the aforementioned 294, to win an actual playoff series, joining Phoenix in 1984 and Miami in 2004. 74: The Spurs' narrow escape Wednesday night against the Lakers knotted the all-time series between the teams at 74 wins apiece in regular-season play. You have to rewind to December 27, 1985, for the last time these teams were even, when the series was tied at 21 wins each. The Spurs are now the only active franchise with a winning percentage of .500 or higher or higher in the regular season against each of the NBA's other 29 active teams. The Lakers, meanwhile, are now 0-6 this season against the West's top four teams. 4: In Monday's overtime win over Orlando, Portland became the first team this season to sport four players with double-doubles. The four Blazers in question: LaMarcus Aldridge, J.J. Hickson, Nicolas Batum and rookie Damian Lillard. 3: Anthony Davis' 17 points and nine rebounds in Monday night's upset of San Antonio established the Hornets' face of the franchise as one of only three opposing rookies in the Tim Duncan era to post more than one 17-and-nine game against the Spurs in their debut season. Davis had 18 points and 11 rebounds in a loss at San Antonio last month, putting him in a select club with Pau Gasol (three such games as a Memphis rook in 200102) and Amar'e Stoudemire (two with Phoenix in 2002-03). 76: Call it truth in advertising. Blake Griffin, DeAndre Jordan and the rest of the Clippers have combined to connect on a league-leading 76 alley-oops this season, eight more than Denver's 68. Which means they're on pace for a whopping 173 this season after leading the league with 107 in 2011-12. Lob City, indeed. Baynes, the incoming Spur, isn't alone. Houston has signed two players this month to similar deals, awarding three-year contracts to guard Patrick Beverley and swingman James Anderson in which only the rest of the season underway is guaranteed. The contracts for both players are non-guaranteed in 2013-14 and 2014-15 and thus easy to throw into a trade if needed. The Rockets took the same approach with little-known power forward Greg Smith in February 2012, signing Smith to a three-year deal and, one year later, now have a trusted contributor whose modest Year 3 salary of $884,293 is sure to be picked up. Q: What has this first half of the season been like waiting to be full strength? A: We really have a close group. We have a team that's really resilient and fights and works and gets in the gym. We never had a give-up mentality. We've been very much focused on the future and focused on getting better and I think the sky's the limit for this group. And obviously having everybody back healthy now, we're a tough team to guard, so we can push through and win some of these games now. The season is finally starting for us. Obviously it's still early in the process, but I think we have a lot of great pieces on this team. Anthony Davis is going to be a great player, Eric (Gordon) is back now and Greivis (Vasquez) is playing out of his mind. He's really taken it to the next level and he's a big part of the reason why I get open shots. Q: It all sounds pretty promising in spite of the rough early start. A: This is such a special group. I never thought it was going to be like this here. When you have such a close team, such a bright future, it's exciting to play on a team like this. Q: Must feel good to hear people talk about how much Dwight Howard misses you after a lot of us thought your game would suffer not playing with him anymore. A: It's something I don't really think about. I had a great three years in Orlando. I learned a ton. I learned how to get shots and how to play in different systems, but I don't really think much about the past, just about the future with this group. Q: Why was New Orleans the right spot for you? A: It was the only spot (laughs). Obviously I knew I was going to have an opportunity here. I think Orlando didn't show any interest and all the other teams thought Orlando was gonna match any offer they threw out to me (as a restricted free agent). New Orleans is the only team that was willing to take a risk and I'm very grateful for that. Q: Dirk Nowitzki has been the marquee stretch-4 in this league for a long time, but you're moving up the list. Where do you see yourself in that conversation? A: He's been a guy that I've watched since I was real young. I've always loved the way he played. He was one of my favorite players for a long time. But for me ... it's a game and I love it and I want to be the best player I can possibly be. But I'm not really setting goals like that quite yet. I have to work to get there. "I don't mind, man. I got a lot of nicknames." Hornets guard Greivis Vasquez, officially giving us permission to refer to him as Greivis Passquez whenever we want. We'll look past the fact that Vasquez offered up only one other nickname from his past when we asked for the full list -- "General Greivis" is what many called him back at Maryland -- because he's on such a roll. Now in his third NBA season and finally rejoined in the Hornets' backcourt by Eric Gordon, Vasquez is at the heart of their recent 5-3 uptick, running the team with real determination and confidence and sparking New Orleans to wins over all three Texas teams in the past week to purge the memories of the Hornets' 11-game losing skid in December. Vasquez, more specifically, is finding ways to counter his well-chronicled lack of foot speed with wise decision-making, plenty of shot-making and a sneaky-fast gear heading to the bucket, leading to the heady averages of 14.1 points, 9.1 assists and 4.5 rebounds entering Friday's play. Questions persist about whether the affable Venezuelan could really be entrusted with a starting spot on an elite team, but allow one of his biggest fans to counter: Miami just won a championship with Mario Chalmers at the point. The Lakers won several with Derek Fisher at QB, too. Vasquez not only has the sort of size and strength Phil Jackson would love at 6-foot-6 but also, like Fisher, undeniably possesses the NBA leadership gene. And I'm not just saying it because I loved hearing the story, after all the nickname stuff, Vasquez proudly told about how he had exchanged tweets earlier in the day with Atletico Madrid's Colombian scoring machine Falcao, world soccer's most coveted transfer property. The Nets are well aware of what Phil Jackson told my longtime colleague Chris Sheridan earlier this week in a story on SheridanHoops.com about how he has "no intention of ever coaching again." NBA coaching sources nonetheless insist that Nets owner Mikhail Prokhorov remains intent on tuning that out and pursuing Jackson at the appropriate time, which might actually be months from now if Nets interim coach P.J. Carlesimo can maintain the offensive improvement seen from Brooklyn in this mostly soft stretch of schedule that has greeted Carlesimo in his first seven games as Avery Johnson's successor. ESPN.com reported Dec. 27 that Jackson immediately emerged as the Nets' unquestioned top target to replace the ousted Johnson. And it was initially believed that Prokhorov would fairly quickly launch an all-out recruiting offensive to try to lure him to Brooklyn before any other tempting employment opportunities arose. Yet it has since become apparent that not even Prokhorov's bottomless pockets could persuade Jackson, 67, to take over this so-so roster -- and inherit Prokhorov's ever-lofty expectations -- in the middle of the season. The reality is that the Deron Williams-and-Brook Lopez Nets, without many clear options to upgrade this roster in the near future, might never appeal to the 11-ringed Zen Master, but the Nets' revised 'A' scenario calls for Carlesimo to get them through the next few months ... and for a decent showing in the playoffs behind a rejuvenated D-Will. And then the Nets can let Prokhorov try, with full force, to see if his luck is any better trying to woo Jackson than it was chasing Carmelo Anthony and Dwight Howard. 8: Having scored at least 20 points in Miami's first 33 games this season, LeBron James is just 70 points shy of becoming the eighth active player with at least 20,000 career points. When he gets there, LeBron will join Ray Allen, Kobe Bryant, Vince Carter, Tim Duncan, Kevin Garnett, Dirk Nowitzki and Paul Pierce. 4: The recent revival of Chicago's Carlos Boozer continues. Boozer enters the weekend having posted four straight games with at least 20 points and 10 rebounds, something no Bull has done since 1980 apart from Scottie Pippen in 1995. Boozer has recorded a double-double in each of his last six games -- averaging 23 and 12 over that span -- for his longest-such streak since he strung together nine consecutive double-doubles with Utah during the 2009-10 season. 3: Carmelo Anthony's 6-for-26 shooting Monday night against the hounding of six different Boston defenders made Melo just the third player this season -- along with Knicks teammate Raymond Felton and Bryant (twice) -- to miss at least 20 shots in a game this season. 3: With a whopping 23 rebounds to go with his two points in Tuesday's win over Philly, Brooklyn's Reggie Evans became just the third player in the last 25 seasons to snag that many boards while managing just a solitary bucket offensively, joining -- you guessed it -- Ben Wallace and Dennis Rodman. Only four other players in NBA history, according to Elias, have posted a 2-and-23 game: Arnie Risen (1954), Bill Bridges (1965), Bill Russell (1968) and Wilt Chamberlain (1973) had one each. 5: When the Wizards stunned Oklahoma City on Monday night, it marked just the fifth time in the past 35 seasons that the team with the league's worst record beat the team with the best record at least 30 games into the season. Because Anderson Varejao lost more than half of his team's games to injury over the previous two seasons, Cleveland is being openly second-guessed for not trading Varejao weeks ago, based on the premise that the Cavs should have known that the Brazilian double-double machine would eventually get hurt again. The Cavs' counter is that Varejao, who was averaging 14.1 points and 14.4 rebounds before his latest leg injury requiring surgery, was not only playing the best ball of his career but had also established a strong on-court chemistry with new face of the franchise Kyrie Irving, giving them cause for pause. Backing up the widespread notion that Cavs officials were asking for a lot in return for Varejao in trade talks with various teams, recent Hall of Fame inductee Peter Vecsey reported this week that Cleveland told the Clippers it would take DeAndre Jordan and prized reserve guard Eric Bledsoe to get him. ... Frank Vogel's two-year extension with the surging Pacers, according to industry sources, will pay him $2 million annually in 2013-14 and 2014-15. Despite the season-long absence of Danny Granger and the ongoing struggles of summer mega-contract recipient Roy Hibbert, Vogel has Indy up to third in the East after a slow start while also setting Paul George up for stardom as Granger's replacement. Only 41 days until the Feb. 21 trade deadline. Which means that the league-wide buzzer for deals is close enough where you need to have handy our annual list of players who aren't allowed to be traded without their consent. It's a list that numbers 19 in the 2012-13 season. The league is up to four players with full no-trade clauses after Kevin Garnett and Tim Duncan secured their very own no-trade provisions in the new three-year deals they signed last summer. KG and Timmy thus joined Kobe Bryant and Dirk Nowitzki in that exclusive club, with the NBA making no-trade clauses available only to players who have eight seasons of service time and four with the same team ... and only then when the no-trade clause is negotiated into a new contract because league rules preclude such clauses to be added to an existing contract or through a mere contract extension. There are also two players who, as restricted free agents last July, signed offer sheets with another team that were subsequently matched by their original employer. New Orleans' Eric Gordon and Portland's Nicolas Batum can't be dealt anywhere for one year from the date their offer sheet was matched without granting permission. (That's July 14, 2013, in Gordon's case and July 18, 2013, in Batum's). Then there's the small handful of players every season possessing a one-year contract who, since they've re-signed with their previous employer on a one-year basis, can't be traded without consent because their Early Bird or Full Bird free-agent rights at season's end are forfeited if the player is dealt elsewhere. P.S. -- For those of you wanting a little background refresher on what makes basketball so different from baseball on the very rare no-trade front: Numerous NBA stars who would have the stature and/or leverage to request a no-trade clause often sign their first big-money deals before their eighth season and frequently sign extensions to those big contracts as opposed to going onto the open market. Many of them, as a result, don't become eligible for a no-trade clause, since they are not permissible in extensions. RENO, Nev. -- The Memphis Grizzlies have not made an iron-clad decision about trading swingman Rudy Gay before the league's Feb. 21 buzzer for deals, according to NBA front-office sources. The Grizzlies might trade him. But they might not. The Kings' possible sale and relocation to Seattle, Mikhail Prokhorov's reaction to Phil Jackson's "intention" to leave coaching behind forever and Derrick Rose's comeback timetable in Chicago are the prime topics of discussion in Marc Stein's weekly visit with host Marc Kestecher on the NBA Radio on ESPN studio show. 1. If it wasn't already clear, it should be now: The quality of an NBA city's fan base doesn't guarantee anything when it comes to whether a team stays or relocates. The basketball lovers of Seattle should know as well as anyone that it's the wherewithal and whims of ownership that matter. 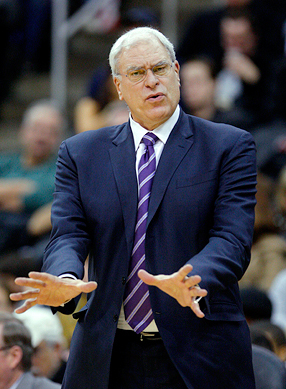 Kings fans were routinely regarded as the league's most frenzied for a good half-decade until their resolve was gradually worn down by a decline that began with Rick Adelman's exit in the summer of 2006 and the subsequent decay of the organization that hasn't let up since. But sadly none of that matters much if the Maloof family can no longer afford to own an NBA team and doesn't have a local buyer to turn to. The reported $500 million that the Maloofs can get for this mess of a franchise from Seattle's Chris Ballmer-led group and the patience they've exhausted inside and outside the league office in this interminable stay-or-go saga is why sources close to the situation describe the sale of the Kings as "inevitable" this time ... even as they insist that the Maloofs continue to "think things through." Various Maloof brothers have vowed for years that they'll never sell, desperate as they were to get back into the NBA after being forced into the sale of the Houston Rockets after taking over that franchise in the 1980s when their father passed away, but the money involved now will ultimately prove too rich for them to walk away from. No matter how many deals they've backed out of in the past. 2. File this away for the next lockout years from now, but the HALF BILLION DOLLARS that the Maloofs can apparently get for their team from Ballmer's group -- trumping the $450 million that the Golden State Warriors were sold for after missing the playoffs year after year after year -- is why you must loudly scoff during the next NBA work stoppage when someone on the league side of the fence threatens the players with contraction. If the economy is working then like it is today, why would the NBA even think of streamlining its 30-team league when prices are only going up? 3. Can't tell you how irrationally excited I was to see a copy of "Baseball Digest" in the magazine aisle of my new local Wal-Mart Neighborhood Market ... except for the fact that A) it only made me pine for "Basketball Digest" even more after about a decade without seeing the go-to NBA mag of my youth and B) it's a full-size publication now with a new masthead as opposed to the unmistakable little booklet size with that magical, mystical lettering in the top left corner. Progress ain't always good.